Creatures is the first game in the Creatures series (full listing). The game takes place in Albia, an annulus-shaped world with an unique ecology, which is inhabited by norns and a grendel. The player, represented by the hand, can raise and care for their norns so they learn to survive and evolve to thrive. The original game is no longer available by itself, but can be purchased as part of Creatures: The Albian Years. The word Creatures is also used in plural to refer to the A-life animals which are the focus of the games. The original Creatures game was set in Albia. It featured Norns, Grendels, and a few minor inhabitants of Albia to occupy the player's creatures. There was no set objective - although players were given a "score" in the Performance Kit, no restrictions were placed on gameplay, and breeders, COBblers, and even norn torturers were free to pursue their own objectives. The game was limited by the technology of 1996, being restricted to a 256-colour palette (background images are available at C2 Back), bamboo architecture and occasional background sounds rather than the ambient music which evolved in later titles. Creatures was originally published for Windows 3.1/95. It was later ported to Mac OS 7.5. 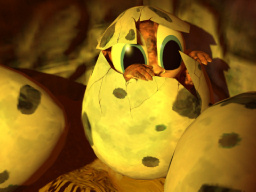 A version of Creatures: The Albian Years may be purchased from GOG.com which is designed to work on newer Windows systems, such as Windows Vista and Windows 7. Windows NT/2k/XP compatibility is possible through an installer patch and upgrading to at least Creatures 1.02. A real model was used to create the Albian backdrop in Creatures. The original boxed edition of the game was accompanied by a helpful booklet, The Chronicles of Nornia. Creatures was first pitched by Steve Grand in the form of a 'Mouse for Windows' - a little desktop pet that would need to be fed and watered, and who would interact with the desktop icons and windows. Millennium didn't bite. A second attempt at a pitch was dubbed 'Little Computer Ewoks' (compare Little Computer People) by Steve Grand himself, for lack of a better name. It is interesting to note that this proposal appears to be the earliest manifestation of Creatures as we know it today. It also interesting to note that the phrase 'Little Computer Ewoks' was also used by Erin's father when he was first shown the game! 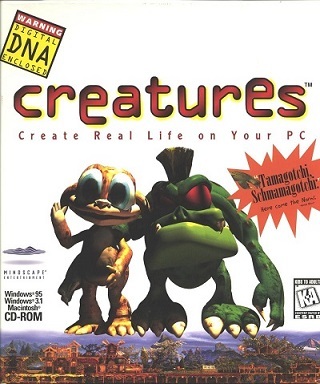 The development title for Creatures was eventually set to 'Small Furry Creatures' - the game also became known as 'Creatures 1' (or just 'C1') after Creatures 2 was (eventually) released. The final design of the Norn as we know it is actually quite different that the original: Steve Grand originally imagined Norns to be 'gawky and awkward' - early images of Norns even resembled chickens! Grendels were originally described as monsters, resembling huge, titanium spiders, complete with eight eyes and a voracious appetite for Norns. Eek! The music from the title movie ended up as part of a published CD from the Cyberlife musician Andrew Barnabas - You can listen to the extended version of the Creatures Montage! This page was last modified on 9 April 2019, at 01:24.